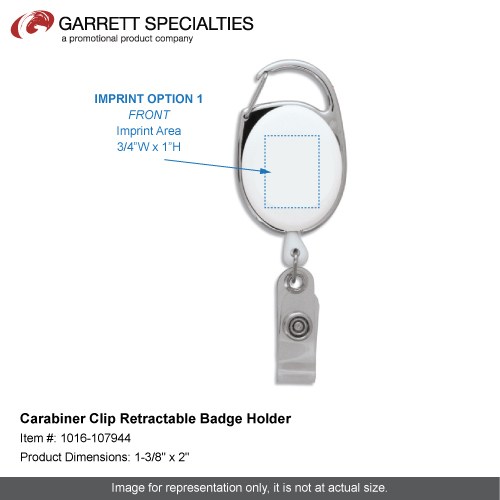 Gives you the ability to clip your id badge holder on your pocket as well as the carabiner clip. 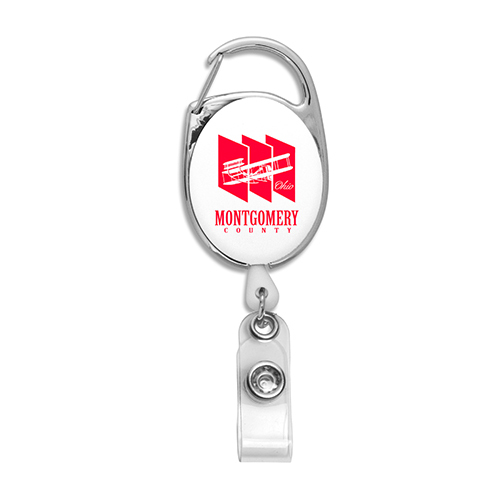 Perfect for any trade show. 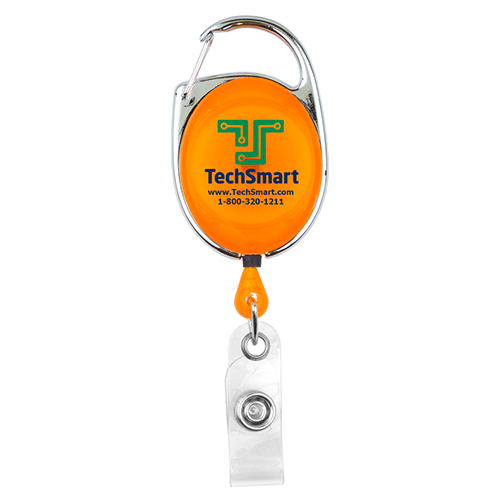 2 Attachments in One!Carabiner Style Clip for belt loops and bags. Metal Slip-Clip Backing. 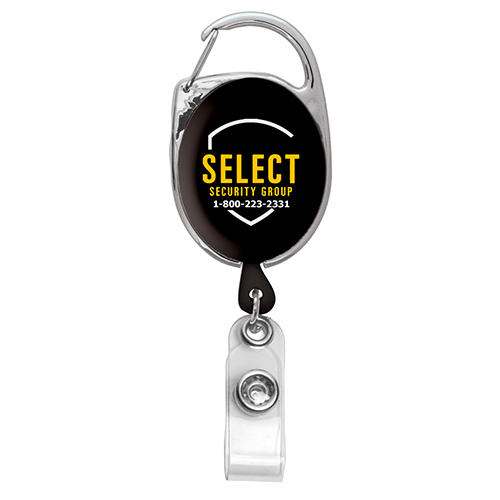 30" Retractable Carabiner Style Badge Reel. Give them an easy way to breeze through security with this 30" retractable carabiner style badge reel. 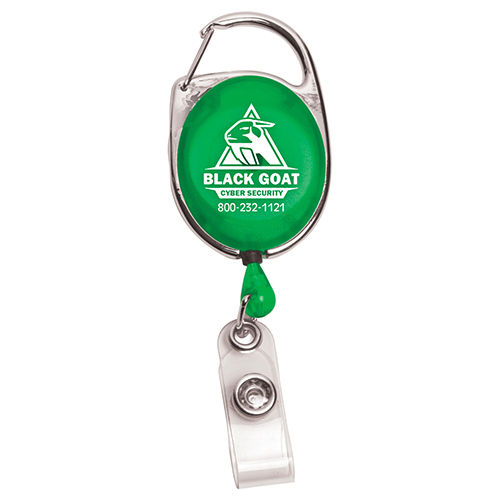 This premium quality retractable reel is guaranteed for more than 100,000 pulls and features a carabiner style clip and a metal slip clip on the back for two clipping options. 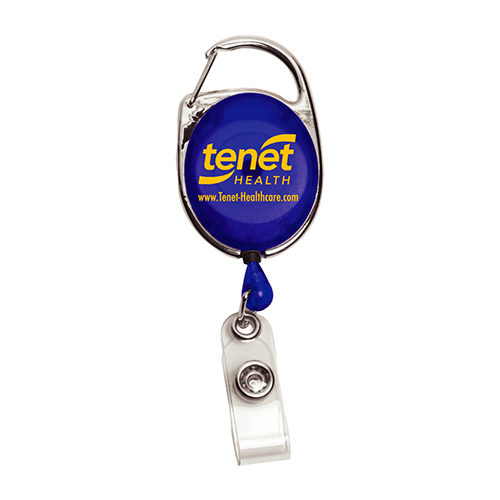 These are ideal for holding a key or ID badge and are ideal for use at tradeshows and events or for everyday corporate security and ID display. 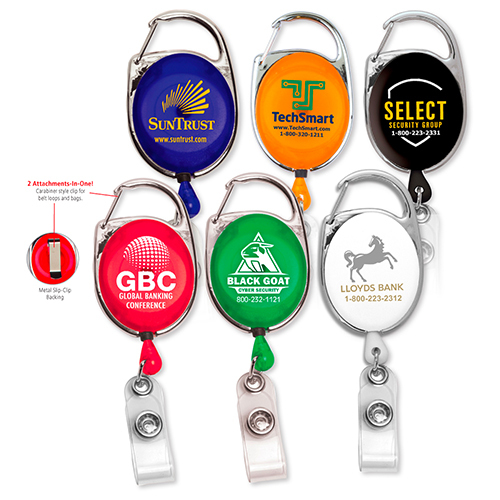 Add an imprint of your name and logo to create the right look for your organization on the Carabiner Clip Retractable Badge Holder. Bulk / 7 lbs / 100 pcs.